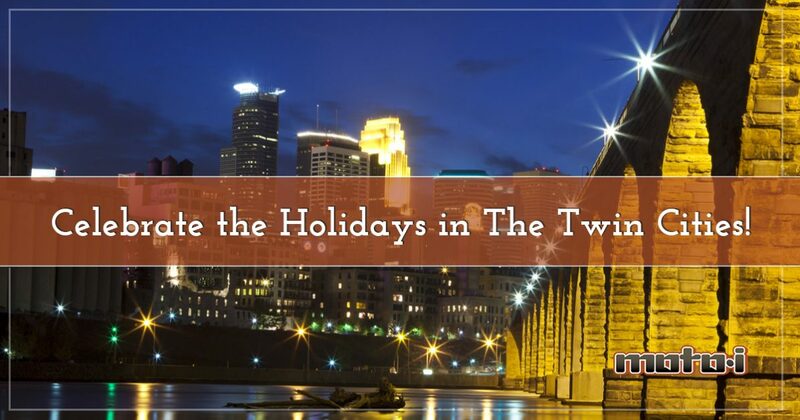 Celebrate the Holidays in The Twin Cities! The holidays are a great time of the year, and if you have family in town for a few days, you want to show them a fun time. This can mean going out to dinner, catching a movie, or finding a festive event in the area. At Moto-i, we love being a part of a family’s holiday plans, and if you have relatives who are in the mood for traditional Japanese cuisine, you can bring them to our restaurant for an outstanding meal. Once lunch or dinner is over, you can head into the city for some holiday fun! In this post, we’ll look at some things you can do this season in the Twin Cities. This annual event in Loring Park has holiday fun for all ages. You can shop, eat, and enjoy the beautiful lights throughout the park. There’s live entertainment, and on certain nights, you can watch a feature film on the giant screen. This year’s lineup features movies such as Elf, Harry Potter and the Sorcerer’s Stone, Home Alone, and many more. Holidazzle 2017 begins on Friday, November 24th, and there are events on Thursdays through Sundays until December 23rd. Loring Park is less than two miles from Moto-i, and you can find out more about Holidazzle by visiting their site. Everyone knows that November and December in Minneapolis can be rather chilly, but if you bundle up, you can often keep the cold at bay. However, if you want to go ice skating, you may not be able to be outside very long due to the frigid temperatures and cold breezes. That’s where an indoor rink like the one at The Renaissance Depot Hotel provides a warmer alternative. 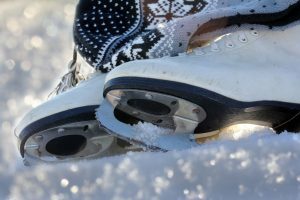 The rink building is heated, and you can enjoy hot chocolate, wine, local craft beer, and a great selection of snacks before or after your skate. The Depot is set right next to the Mississippi River, and it’s only a few minutes north of Moto-i. If you and your family simply love to drive through the city to look at the lights, Minneapolis is a great place to do so. The buildings, houses, and parks shine bright with lights and decorations, and there are plenty of historical sites such as the Alexander Ramsey House, a Victorian mansion on Exchange Street, that look absolutely beautiful during the holidays. There are also limo tours that will take you through the city to look at all the lights, and you can enjoy a festive experience without having to worry about driving. If you live in Minneapolis and you’re looking for something different to do this holiday season, or you’re visiting for a few days and you want to know what hot spots to hit while you’re here, we hope you’ll check out a few of the things listed above. If the family is hungry for amazing Japanese food, come to Moto-i before you set out on your adventures, and we’ll make sure you have an amazing meal that everyone will enjoy.